Palestinian President Mahmoud Abbas has signed the Rome Statute, the founding treaty to join the International Criminal Court, a day after the UNSC failed to adopt the Arab coalition’s bid for the creation of a Palestinian state. The Palestinian Authority could also schedule a date for applying to join the International Criminal Court and other international agencies, negotiator Saeb Erekat said, adding that officials would hold a "very serious meeting" on Wednesday. "There will be no more waiting, no more hesitation, no more slowdown," Erekat said. "We are going to meet and make decisions." A batch of newly signed treaties will be delivered to Secretary-General Ban Ki-moon's office by the end of the week, a diplomat at the Palestinian UN observer mission told Reuters. The Rome Statute is the ICC’s founding document. With Palestine becoming party to it, the International Court would have a free hand in assessing all alleged war crimes committed on Palestinian territory. Although it should be noted that Israel isn’t a member itself, and only its own membership, in addition to Palestine being a signatory, could open it up to ICC investigations. The United States has called the Palestinian decision “an escalatory step” saying it “will not achieve any of the outcomes most Palestinians have long hoped to see for their people." “Actions like this are not the answer," spokesman Jeff Rathke said in a statement. Israeli PM Benjamin Netanyahu has threatened "steps in response" to Palestinian President Mahmoud Abbas's approach to the International Criminal Court, Reuters reported. Netanyahu also pledged to protect Israeli soldiers from any potential prosecution. Netanyahu said, describing it as "an avowed terrorist organization which, like ISIS, carries out war crimes." The draft resolution on Palestinian statehood gathered only eight votes in favor, so it was automatically defeated. 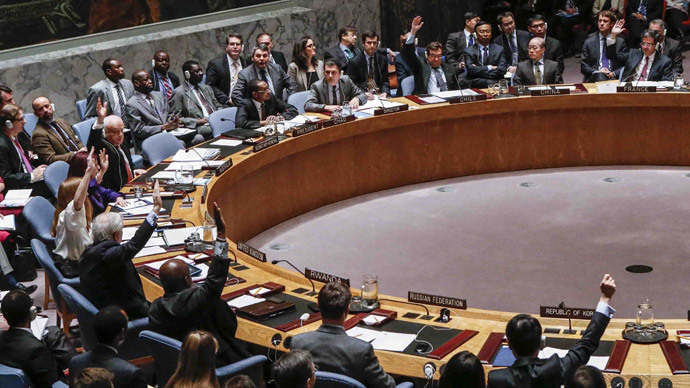 The US still used its veto power and voted against the resolution. Another veto power state, the UK, along with Lithuania, Nigeria, Korea and Rwanda, abstained from the vote. The eight votes in favor included France, Russia and China. The resolution gave 12 months for a “just, lasting and comprehensive peaceful solution” to the Israeli-Palestinian conflict, which it regards as the creation of a “sovereign and viable” Palestinian state based on 1967 borders, as well as the withdrawal of all Israeli forces from the occupied territory by 2017. Palestinian authorities said that if resolution wasn’t passed by UN, they will ask for applying to join international organizations as Palestinian people say they are willing to seek justice for crimes against humanity as well as the war crimes being perpetrated against them by Israel. 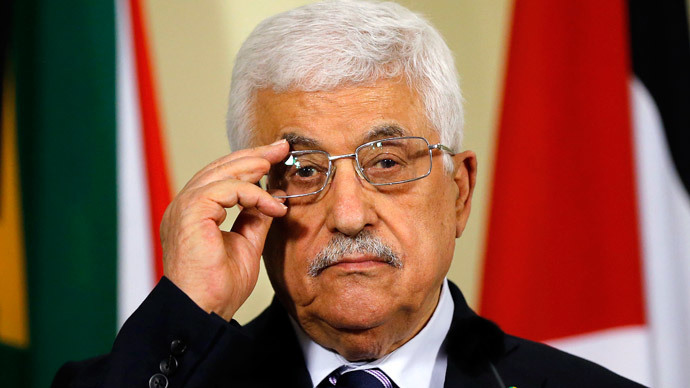 Abbas said on Tuesday his administration would "no longer deal" with Israel if the resolution were to fail. "If the Arab-Palestinian initiative submitted to the Security Council to put an end to [Israeli] occupation doesn't pass, we will be forced to take the necessary political and legal decisions," he said. Israeli authorities said they are "satisfied" with the failure of the Palestinian statehood bid at UN Security Council. “Every Israeli who wants peace with our neighbors can only be satisfied with the results of this vote,” Deputy Foreign Minister Tzahi HaNegbi told public radio. Russia says the Israelis and Palestinians should not let the crisis worsen and should restart the peace process.